Charlotte is a Fellow of the Chartered Institute of Management Accountants achieving first place worldwide in her final stage examinations. She trained whilst working as a Plant Accountant in automotive turbocharger manufacturing for AlliedSignal (now Honeywell) in Skelmersdale. Prior to this, Charlotte studied music at the University of Cambridge where she held an organ scholarship. Charlotte has worked in publishing, the arts, manufacturing and, for the last twenty years, in the NHS. She has held Director of Finance or Deputy Chief Executive posts at Avon & Wiltshire Mental Health Trust, Cardiff & Vale University Health Board, Great Western Hospitals Foundation Trust and South Central Strategic Health Authority. More recently Charlotte has worked for NHS England, leading national programmes on capital and estates planning and on transforming continuing health care processes across health and social care. 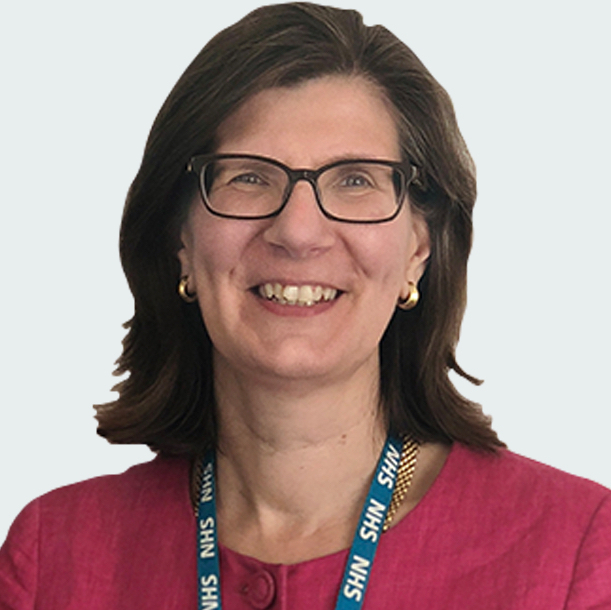 Charlotte is currently a Non-Executive Director and Chair of the Audit & Risk Committee for NHS Resolution and a lay member of the Audit & Risk Committees of UK Research and Innovation (UKRI) and the Big Lottery Fund. Since May 2017 she has been the Chair of Trustees of Bristol Zoological Society. Charlotte has lived in Bath for the last 22 years with her husband Danny, who is Director of the Theatre Royal, and their three children, two of whom are at university. Her interests include mental health, travel and technology. Charlotte has also studied Mandarin in the Bath University Foreign Languages Centre.